backstage UK summer tour, 1973. Mick Rock on the set for the promo for “The Jean Genie”, San Francisco, October, 1972. A still from the promotional film for the single ”The Jean Genie” directed by Mick Rock, San Francisco, October, 1972. With Iggy Pop and Lou Reed, Dorchester Hotel, London, July 16, 1972. On tour in the UK, Summer of 1973. Aboard the luxury cruise ship QE2, Southampton, UK, January, 1973. You couldn’t make the name up: as the man himself says in the interview that follows, “Mick Rock” sounds like a cartoon character, a distillation of ’70s pop culture in two onomatopoeic syllables. 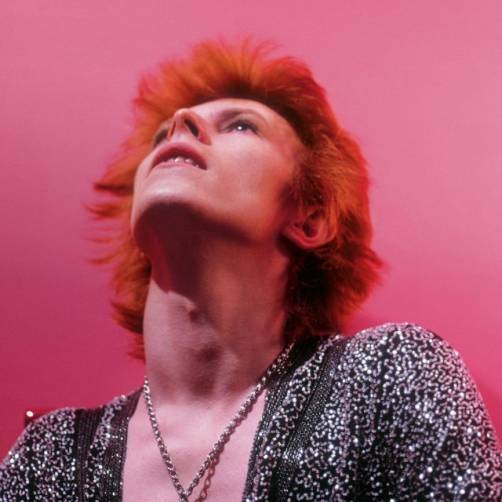 But Mick Rock is the real name of the photographer whose images captured and defined glam rock in the first half of that decade: the real name of the Cambridge graduate who, in the spring of 1972, documented the rise and rise of David Bowie in his brilliant incarnation as Ziggy Stardust. He had made his cartoonish name with a striking album cover for former Pink Floyd frontman Syd Barrett – a personal hero of Bowie’s – and Rock couldn’t have been in a better place or time than the eye of the glam storm that swirled about Bowie in ’72. 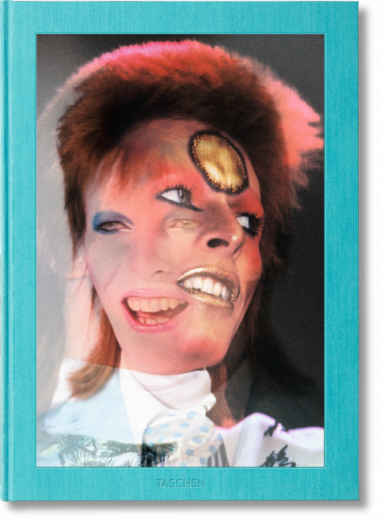 The thrilling, outlandish, and remarkably candid images in this book attest to the unparalleled access Rock had to the star who became, and remains, his friend. This kind of access and trust between photographer and star hails from another, more innocent era in rock music, when art was deemed far more important than commerce. Could a photographer have been gifted with a more charismatic and iconic subject? Rock is self-effacing enough to admit the good fortune of the Glam zeitgeist in which he found himself. But it was his images of Bowie – onstage, backstage, in the studio, off-duty at home or in transit – that fixed Ziggy Stardust at the epicentre of ’70s pop. Here, then, is Rock talking about his heady days with Bowie in the peak years of glam rock’s teenage revolution. BH: What brought you and David Bowie together for the first time in early 1972? MR: I was working in a darkroom at the offices of Oz magazine, and there was a pile of promo records with holes in the corners. 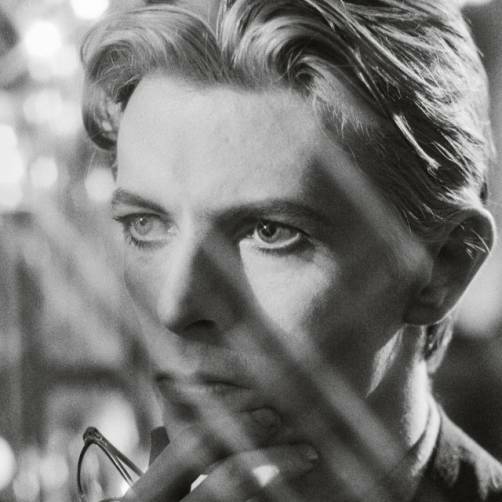 Felix Dennis, who managed the magazine, said to me, “Help yourself.” And there was Hunky Dory, so I took it home and played the life out of it – especially “Life On Mars?”? At the time I was writing short pieces for Rolling Stone and illustrating them with photos. I’d been to Cambridge and could cobble together a few words. I had done a piece on Syd Barrett of Pink Floyd. I’d also done one on Rory Gallagher, whose first three album covers I shot. When David said “I go both ways,” it got people’s attention. So I talked to Andrew Bailey – the London editor of Rolling Stone – and said, “What about Bowie?” He said, “Yeah, okay. He’s been saying a few interesting things lately.” At the same time a friend of mine, the art director of Club International, said he wanted a music section at the front before you got to the boobies and bottoms – something a little provocative, I suppose. So that was commissioned too. Anya Wilson, David’s publicist, met me at Liverpool Street station and took me up to a gig in Birmingham. She brought me backstage to introduce me to David, and he let me take the first pictures I ever shot of him. And then I took some performance shots during the show. A day or two later I went out to his house in Beckenham and interviewed him. BH: What appealed to you about Bowie? MR: Initially I was inspired by his music, and then I was fascinated by his aura. I felt hypnotized by all the mutating and shifting around. In truth the persona interested me more than the personality, coupled with the naked ambition. It’s all there in the Ziggy lyrics. He wasn’t thinking about money, he was thinking about stardom. You’ve got to remember how young we all were. I first met David forty-two years ago, when the world was a very different place. Psychologically it was a very impressionable time. What everyone now accepts as modern pop culture was brand-new. BH: Did Bowie critique your images of him? Did he have strong ideas about how he wanted to be photographed? MR: He seemed to like the photos I did from early on. He responded really well to the session I did at his home in Beckenham, the one that produced the now-iconic mirror shot. Every frame had a certain magic. He told his manager on reviewing them that “Mick sees me the way I see myself.” Which I was delighted to hear, because it was important to me that he really liked them. I learned a lot just watching and listening to him. BH: Should we think of Bowie as more of an avant-garde artist than a pop star? MR: David used to talk of himself as a Xerox machine, picking up impressions all over the place. He brought in a lot of elements: the Warhol thing, the Velvet Underground, Jacques Brel, Kabuki, the Living Theatre, A Clockwork Orange. And of course the futuristic space thing, which Roxy Music got into as well. David absorbed things so fast. He made the concoction so rich and thick.